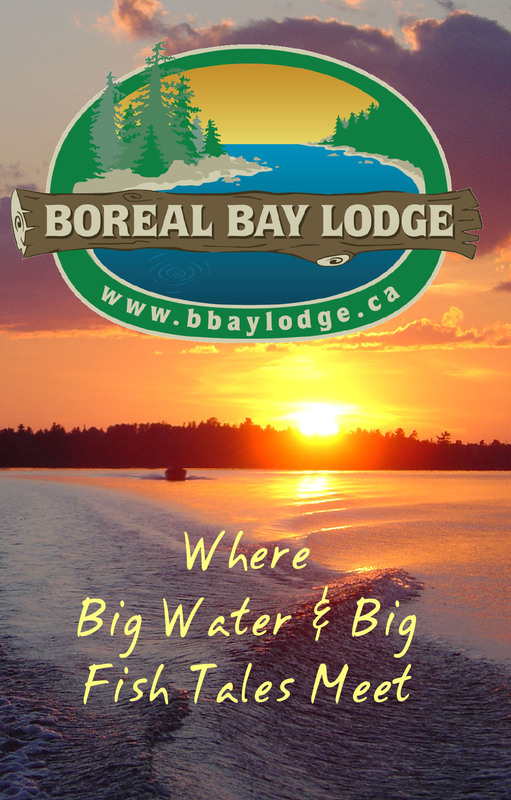 At Boreal Bay Lodge we try to assemble packages to meet the wants and needs of our guests. Below you will find listings of our most common packages. We also make available fully guided packages which include the Guide bringing you to the hot spots, teaching you successful techniques and preparing a famous Canadian Shore Lunch over a campfire. If you don’t find a package to suite the wants and needs of your particular group, please contact us because we are often able to accommodate you. We encourage large multiple cabin groups to contact us for discounted pricing. June 1st, 2009 the US implemented a requirement for proof of citizenship for entry into the US. Children under the age of 16 will be allowed to return to the US with a birth certificate as proof of citizenship. Common proof of citizenship documents include passports, passport cards and some of the new drivers’ licenses. All 2019 prices are in Canadian funds. Prices do not include – fishing licenses, taxes or gratuities. The Housekeeping Cabin Packages include the use of docks and launch. Any boat damages or lost items are responsibility of the renter (similar to rental cars). All Premium fishing boats come with everything you need. Electric start w/power trim 4 stroke motors <and> Minnkota bow mount trolling motor w/ iPilot. <and> Lowrance Elite or Hook 7 GPS/Depth Finder w/ lake map. Boat Rentals in the above packages include all required safety equipment. Gas & Oil are extra unless otherwise noted. A minimum of two Adult guests is required. Pets are only allowed when advance permission is granted, an added fee of $20 per pet per night and compliance with Pet Policy. All rates quoted are in Canadian funds. Quoted rates do not include taxes or gratuities. Packages are priced on a per guest basis unless otherwise noted. We accept Visa and MasterCard. All Cabins are NO SMOKING for tobacco and marijuana, except Cabin #21. See Policies – Smoking Policy for more exception details and fee that may be applied. Guests may be charged for an exceptional mess or any damage to resort property. Boat rentals require signed contract by all operators and acceptance of responsibility for any boat or related equipment damages which occur during the rental period. All packages require a minimum of a 50% advance deposit payment made via Visa or MasterCard at time of reservation. Deposits are non-refundable but may be used for alternate dates, in the same year. A deposit may also be assigned to another party with a reservation of equal or greater value; when a signed written instruction is delivered to Boreal Bay Lodge in advance. Guests departing early will be responsible for the entire amount of reservation. Check-in 2:00 PM. Check-out 9:00 AM. Payment in full is due upon arrival; any incremental charges are due at Checkout. All cabins have a bathroom with a shower, or tub & shower. Each cabin has heat, a kitchen with modern appliances, coffee maker, utensils and dishes. All 2 bedroom and larger cabins have a microwave. All bedrooms have complete bedding, blankets, and pillows. Daily towel service is available. All cabins overlook Kakagi (Crow) Lake and are close to one of our six docks, all with electricity. Sand beach with playground and bean bag toss boards. Modern fish cleaning facility for your convenience. Wireless Internet, ice, water, gas, tackle and other essentials including the latest fishing information is available at the main lodge. We have boats available on 3 remote portage lakes (Jessie, Cedartree, and Robinson). We have gated launch and dock on Stevens Bay, Lake of the Woods.